Over the next couple of months I will be sharing the sweet, brave stories of women that I admire who are doing beautiful work in the world. The very first of these posts is written by the powerful and delightful Esmé Weijun Wang – so I totally adore and am really pleased to welcome to my corner of the internet. I once spent a rattling train ride in Taiwan with my mother, during which she sketched a family tree in my notebook. At the end of various branches, she drew Xs to signify those known to have some sort of mental illness. What surprised me wasn’t the three Xs that did exist: a great-aunt who’d been institutionalized for most of her life, and lived a tragic existence as “the madwoman in the attic”; a cousin who had killed himself; and, of course, there was me, who had been living with schizoaffective disorder for years. Rather, what surprised me was how many unknown entities there were, with branches leading to blank spaces on the page. No one talks about these things, she said, and no one wants to ask. I chose to reveal my psychiatric diagnosis on my website years ago, before that website became the hub for a business. And even though I wasn’t ashamed, and began to give anti-stigma talks in San Francisco, I continued to think of mental health advocacy as something that rode alongside my work as an editor for visionary entrepreneurs. Being an advocate, after all, isn’t a profitable enterprise; more significantly, I worried that to speak of it too frequently might alienate potential clients. I pictured these clients as searching their Twitter feeds for productivity hacks and insights on work/life balance, and not essays about the choice of whether or not I, as a person living with what’s been called “severe mental illness,” will try to have children. Be useful, the dominant wisdom said; I saw this again and again in books and blogs. But what “usefulness” actually looks like — lists of tips? How-to guides and templates? — remained vague. I spent most of April living in a cottage on Whidbey Island, alone. I’d been awarded a writing residency to work on a book of essays, and was using that time to research, doodle, outline, draft, and dream. The seven cottages that belonged to the residency were deliberately not equipped with any sort of Internet connection. Without the noise of constant input, my days became quiet. The silence, as it turns out, enabled a clown-carful of previously unattended concerns to tumble forth. I snapped awake one night to the thought that I wanted to publish a book myself, to be sold on my website. It would be a book about living well with mental illness — hopeful, but not sugarcoated; realistic, but without the gory details. This was not the book that I’d essentially been paid to work on while on Whidbey Island, but it was another kind of book, and it was a book that wanted to be birthed quickly. I spent the next few weeks doing two things: sketching out essays for the initial project, and assembling a book — which would become Light Gets In — composed of both new writing and the best bits from three years of online writing. And I was scared shitless. My fears about writing Light Gets In were completely unlike my fears about the essay collection. The essay collection was something that I spoke to my literary agent about over the phone; it was something that the other writers at the residency were interested in, and understood as a Serious Project that would take years to complete. Light Gets In, on the other hand, was a book that no one had asked for. It was storytelling that revealed themes of living well with mental illness, but was still far from the sort of “useful” business move that, say, a workbook for tracking medications and symptoms might be, and this worried me. After I returned home, and was again inundated with business advice from e-letters that I’d voluntarily signed up for, and after I finished Light Gets In, and initiated the process of hiring Allie Rice to design the 52-paged book for me, I finally understood something essential. If I was going to push this book out into the world, I was also going to have to step into a certain kind of bravery — because I already believed that storytelling is as valuable as, and sometimes more valuable than, a 1-2-3 Guide to Infinite Happiness; but I also needed to bring that into the way I spoke about the book when it was released. I needed to have faith that its value would come through without a list of concrete deliverables. Light Gets In came out on June 2. It isn’t a handbook, but it is a flashlight in the dark. It’s a story for everyone who is, knows, loves, might know, might love, or might interact with someone with mental illness. 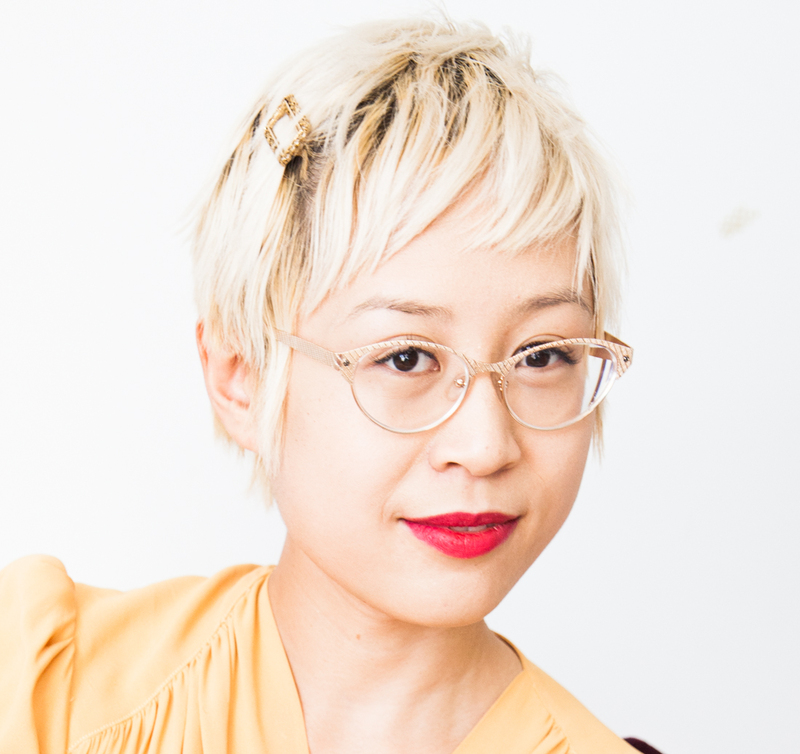 Esmé Weijun Wang is a writer and editor-for-hire. Her site, esmewang.com, is where mental health advocacy meets meaningful work. As seen in The New York Times, Jezebel, and Clementine Daily, her site is the home of the Chronicles, a series of mini-essays that records her life with schizoaffective disorder, thoughts on compassionate business, and explorations of the writing life. Find more about her new e-book, Light Gets In, as well as a downloadable chapter, here.